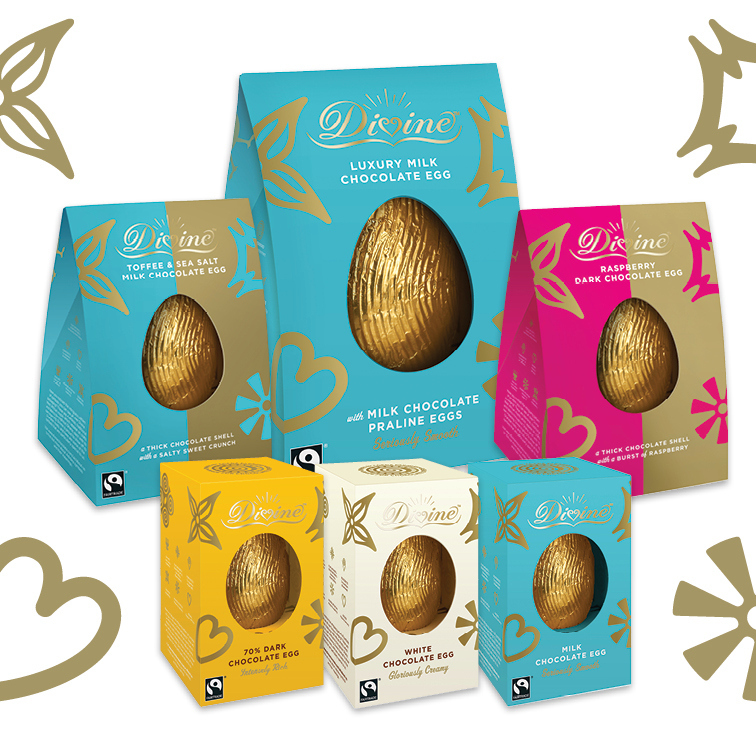 This time it’s Easter and in celebration of Fairtrade fortnight – something Divine take very seriously! Fairtrade Fortnight (29th February – 13th March 2016) is an annual event in the UK that celebrates all things Fairtrade. What better way to enjoy a fairer deal for farmers than treating yourself to a little Fairtrade chocolate? Divine Chocolate is the only chocolate company in the world that is 100% Fairtrade and co-owned by cocoa farmers. This means as well as getting a guaranteed price for their cocoa, they also receive a share of the profits to support their families, communities and farms. So when you treat you and your loved ones to some Divine Chocolate, you can feel good knowing that the farmers that grow the finest quality Ghanaian cocoa beans are being paid fairly. 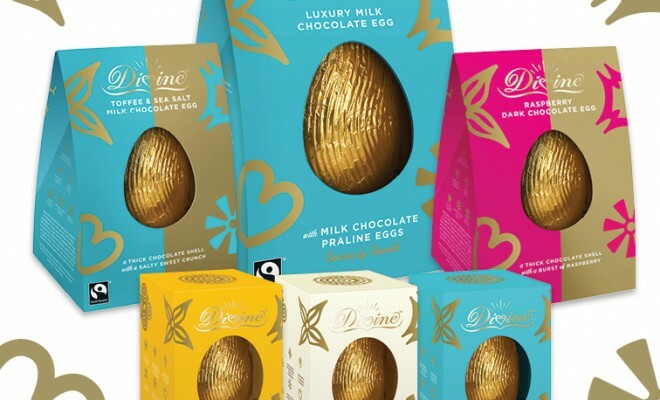 Divine Chocolate want to celebrate Fairtrade Fortnight with you by offering the chance to win a delicious selection of Easter treats to share including mini and praline eggs and luxury chocolates shells in different flavours, such as Toffee & Sea Salt. What’s more, all Divine Chocolate is natural, suitable for vegetarians and free from palm oil!